"Retro Shapes Address Labels" product is already in your cart. 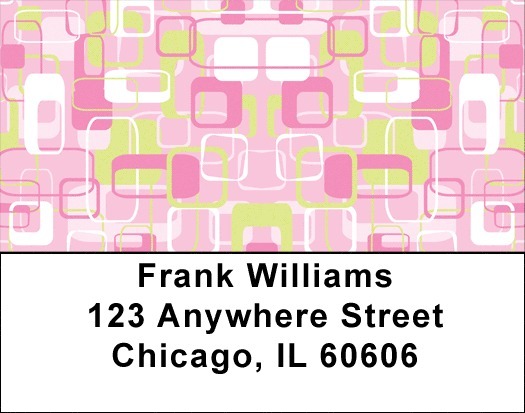 Retro Shapes Address labels alternate between 4 abstract collages of colorful squares, circles, triangles and ovals. The definition of 'retro' is open to debate, but these labels will probably remind you of the seventies color combinations. These are fun and funky designs that can become conversation pieces...just ask someone what they think of when they think 'Retro'. Retro Shapes Address labels are self adhesive. Matching checks are also available.